1.The current lack of network visibility and centralized information in the startup ecosystem makes it hard for entrepreneurs to find people or resources. The current landscape of entrepreneurship has created isolated bubbles, making it difficult for startup founders to connect with the right people for their company: CEOs are struggling to find CTOs, entrepreneurs are struggling to meet with industry-relevant individuals, and founders are struggling to meet investors. David, who works with student founders as the Director of Babson’s Summer Venture Program, finds that the “silo effect” is prevalent even in closely-knit innovation communities like universities. Until the network visibility issue is solved, there will continue to be a lack of efficiency in resource distribution. The nature of discovering advisors, co-founders, investors or even relevant people in the industry is more difficult than it should be. Social media tools like LinkedIn and AngelList have improved community visibility but the platforms are designed with a focus on staying in contact with someone you’ve met rather than meeting new people. Founders can choose to message people or browse profiles but neither the culture nor the structure of the platforms promote discovery in a substantial way. To address this ecosystem visibility issue, David spends a third of his time as a “Connector”: he makes email introductions for founders to relevant people and startup service providers. In addition to that, he creates and distributes resources addressing the common questions and inquiries he receives, including his “brain dump” of service providers, freelancers, and investors (for David’s full list of founder resources, visit his site). Shoobx’s mission supports David’s endeavors to make entrepreneurship in Boston better connected, and these are some of our favorite places to look for startup events: Eventbrite, Venturefizz, Greenhorn Connect and Bostinno. We’ve also put together a curated group of startup-friendly service providers on our sister site, Shoobx Spark. 2. The inefficiencies of running a business have not changed significantly in the last decade. Unlike veteran entrepreneurs, who know which business processes have to be completed at specific company milestones, first-time founders have to learn how to sufficiently manage and provide legal protection for their company while simultaneously figuring out how to build their products and grow their businesses. This learning curve inevitably requires multiple trials and is accompanied by costly mistakes. Shoobx is working to address this need, but many entrepreneurs continue to struggle with a lack of integrated solutions to manage discrete business processes. Even for a seemingly simple process like hiring, entrepreneurs have to figure out how to generate an offer letter and related company documents like W-4s and I-9s, coordinate with attorneys on drafting equity grant documents, ensure that all documents are properly executed and stored in an organized way for future diligence exercises, and update the cap table when a grant is finalized. Traditionally, these processes are owned by different people using a variety of tools; human resources during the hiring process, counsel to handle the appropriate legal documents and sometimes the cap table, and the employee themselves to return the documents through the appropriate channels. While there have been plenty of advances in individual business processes like automated equity management and HR software, addressing the need for a holistic solution remains a work in progress. First time entrepreneurs, due to time and capital resource constraints, sometimes find themselves ignoring crucial documentation like IP Assignment Agreements, while veteran and tech-savvy entrepreneurs have come up with inventive ways to create makeshift Frankenstein workflows with various cloud services to address the complexities of running a business. One example is the use of applications like Google Drive as a data room. While Google Drive works well for storing and editing documents, it lacks the features of a true transactional data room (such as watermarking and customizable secure permissioning) that a diligence requires. Bootstrap solutions may be tempting for the entrepreneur early on but as the company grows, the costs of inefficiency, security flaws, maintenance or even transitioning to a more robust solution can become substantial. The struggle with inadequate tools has been a real and trying problem for entrepreneurs but David believes that the first point of friction that needs to be addressed is understanding what they need a solution for in the first place. “The biggest hurdle of managing their business is even knowing what to do, whether it’s figuring out the steps for how to protect their company or get more customers.” Founders don’t have an easy source for answers so they have to go out and try to find them through conducting research or asking their network. Ultimately, founders are asking, “What is the most seamless and riskless way to get from Point A to Point B?” While the gut response to this question may be to immediately jump to tools, founders should achieve a baseline understanding of their needs before adopting a solution. In today’s entrepreneurship ecosystem, founders have access to a multitude of educational resources to build their knowledge, from the books of serial entrepreneurs like Brad Feld and Jason Mendelson’s Venture Deals, which focuses on the relationship between VCs and entrepreneurs, to David Skok’s forEntrepreneurs website, which offers “tactical, in-depth advice on the key issues founders and their teams face in getting started”, and Shoobx’s blog, which focuses on addressing different facets of startup corporate activity. Additionally, entrepreneurs can look for support from their personal and professional networks. Shoobx offers an all-in-one integrated solution for managing corporate activities in a modern way because we understand that it's only when entrepreneurs have easy access to knowledge, resources, and tools that the long-overdue changes to how companies are managed will become widespread. 3. Founders are short-term oriented in their decision-making out of necessity, but sometimes this introduces long-term issues and expenses. First-time founders often make the mistake of being overly focused on the short-term. While there are times that definitely call for this prioritization, unbalanced short-term focus can compromise the company’s future. As David notes, ”Some founders get so aggressive when it comes to their early stage paperwork, they negotiate for something like a preference or a higher valuation and although it feels like a win at the time, it makes it difficult for subsequent investors to come in. In a lot of cases, they end up having to rejigger what they have, re-capping some part of the company or re-negotiating something. It’s work that has to get fixed later.” And with that later work comes added expense and complexity that could have been avoided by not over-engineering standardized documentation in the first instance. As an entrepreneur, there is a fine balance between sealing a great deal and hampering yourself in the future. “I’d rather see a founder focus on building the business or technology rather than attempt to reengineer standard docs and veer away from things that are generally expected,” David notes. Investors and other stakeholders have used and seen the standard documents repeatedly, so using them creates efficiencies on all sides of the table. While the impulse to try and improve on a process or eek out a win may be natural, marginal gains and unnecessary document customization can create the need for more costly lawyer input, expensive cleanup down the road, or in the most extreme cases, a situation that compromises your future fundraising ability. Standardized documents are charted territory that will smooth the investment process for investors, entrepreneurs, and attorneys: negotiations will be faster, every individual’s position will be clearer, and there is more legal precedent. To get started with standardized documents, you can ask your counsel about the types of standard documents that are used in your industry and by their firm. There are also free resources like the NVCA model documents available for venture capital financings. At Shoobx, our workflows leverage standardized, legal documents with the flexibility to handle complex processes, even for financing. There are many pitfalls of starting a business. 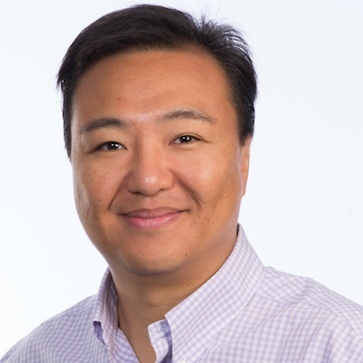 At Shoobx, we’re excited about the work that David Chang is doing to bolster the innovation ecosystem and we thank him for sharing his observations and experience with us. We’re working to lower the barriers to entrepreneurship. Get your company started on Shoobx today or reach out to learn more. Want to see David Chang speak at Shoobx Drive 2018? Get your ticket! If you have any other resources you think we should add or places to find events, share them in the comments below!